The Growing Tree Christian Preschool is a vibrant and exciting ministry of the Presbyterian Church of Palm Harbor that continues to offer to the community the opportunity for Christian nurturing of preschool aged children in two, three and four year old classes (VPK), as well as a Mother’s Morning Out, Lunch Bunch, Before and After Care, and Summer Programs. The Growing Tree seeks to provide sound educational experiences within an environment of Christian faith and love. We are committed to developing your child’s sense of identity as a unique and special person. Our students engage in a variety of activities which encourage cognitive development, emotional growth and kindergarten readiness. We offer a creative program with a variety of learning experiences to allow your child to grow in understanding of self, others and the world. We utilize a Christian curriculum for each age level based on Pinellas County standards. 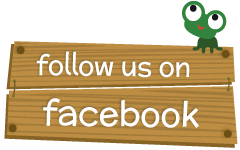 The Growing Tree’s daily activities include free play, arts and crafts, circle time (songs, games, stories, etc. ), outside play and snack. Occasionally, field trips, classroom visitors and special programs for parents are planned. 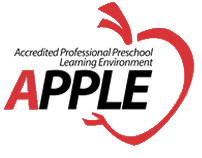 The Growing Tree is accredited through the Apple Program (Accredited Professional Preschool Learning Environment) and the Gold Seal Quality Care Program. These accreditations serve to enhance and validate the quality education we provide. All teachers and assistants are licensed for early childhood education by the Pinellas County License Board. We offer a variety of programs for children ranging from 1 to 4 years old. View the tuition rates for each of our programs. Meet our team of Administration, Faculty and Staff. The most frequently asked questions about our school and their answers. Summer Camp registration has begun! We offer a 5 day a week camp for children entering the VPK program or entering kindergarten in the fall. There is a weekly theme and the camp will run from 9am-2pm Monday through Friday. Students will bring their own lunch and morning snack. For children entering the 2 or 3-yr-old program in the fall we will offer a 3 or 5 day a week Fun Play from 9am-12pm. Forms and more information can be found on the website under “Programs” then “Summer Programs”. All forms are available on this site and may be turned in online or in person. Classes fill up quickly so hope to hear from you soon! Registration for the 2019-2020 school year will begin on February 11th. Information and forms will be available on this site as soon as they are confirmed. Hey folks! Hope you’ll join us at Hackett’s Cafe & Creamery at the corner of Curlew Rd and Alt.19 on the last Wednesday of every month for Spirit Night (a fundraiser for the Growing Tree). If you go between 12-8pm and tell them you’re from the Growing Tree they will donate 10% of your bill to us! They have fabulous pizza, sandwiches and ice cream AND on Wednesdays you can get 2 for 1 glasses of wine…… Come on out this Wednesday and join the fun. Hope to see you there! We will begin registration for summer programs on April 9th. We offer a 5 day a week camp for children entering the VPK program or entering kindergarten in the fall. There is a weekly theme and the camp will run from 9am-2pm Monday through Friday. Students will bring their own lunch and morning snack. For children entering the 2 or 3-yr-old program in the fall we will offer a 3 or 5 day a week Fun Play from 9am-12pm. Forms and more information can be found on the website under “Programs” then “Summer Programs”.